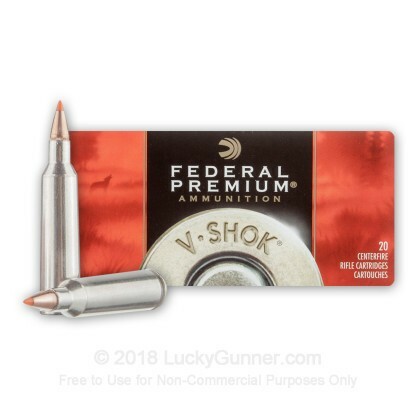 Manufactured by Federal Premium, the V-Shok line is a fast flying hunting round that is sure to deliver the performance you are looking for out in the field. 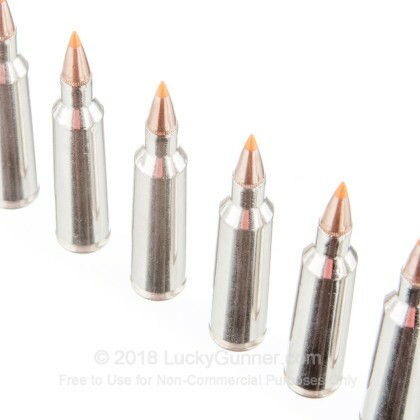 Nosler Ballistic Tip bullets deliver the kind of accuracy, consistency and down-range punch required for putting down that varmint in any situation. 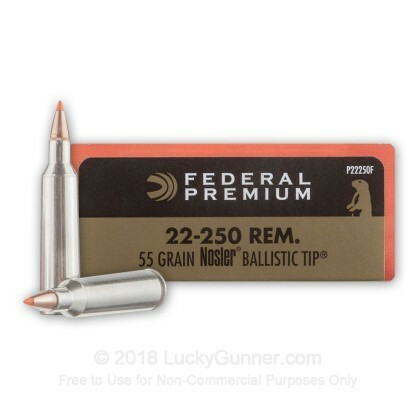 Federal's reputation for quality coupled with the premium bullets used are sure to leave you with results that you can count on! Brand new, brass-cased, boxer-primed, non-corrosive and reloadable. 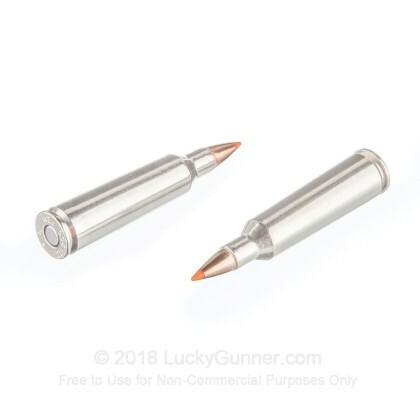 It is a staple hunting and target practice ammunition. Definitely consistent in both categories of accuracy and voracity. 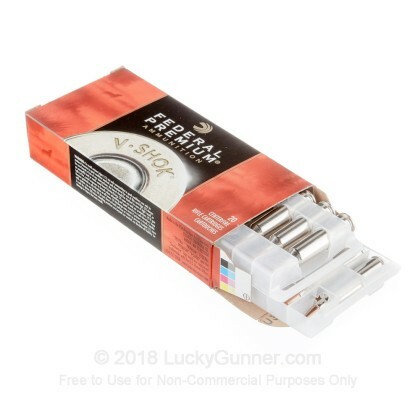 I've been using this ammo for a few years now. From my Savage Model, it shoots really well. It's often hard to find though. 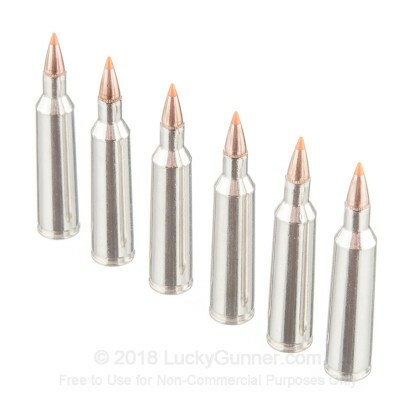 As I become a better shooter I am able to get groups the size of a quarter at 100 yds. Still practicing at 200, and those groups are closing in. Very consistent, very repeatable.